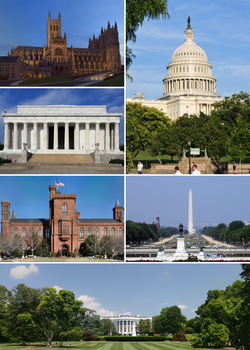 पुकार नाँव: Nicknames of Washington, D.C.
↑ "Demonyms for people from the USA". www.geography-site.co.uk (English में). पहुँचतिथी April 12, 2017. ↑ ""Demonym"". addis.com (English में). पहुँचतिथी April 12, 2017.